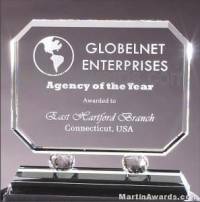 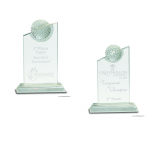 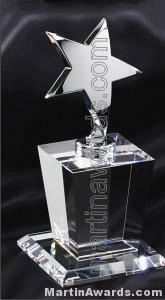 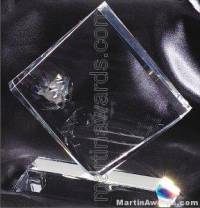 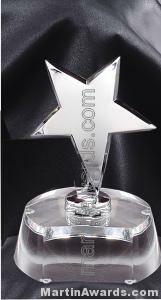 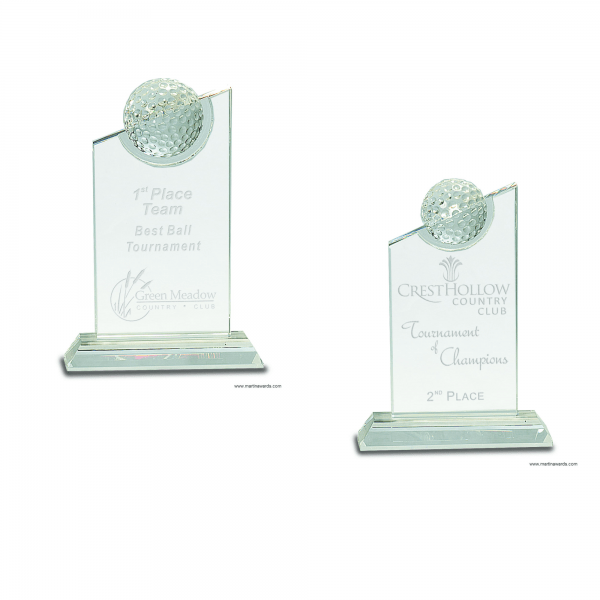 Tall Crystal award features a 3D golf ball inset on top. 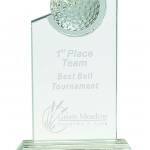 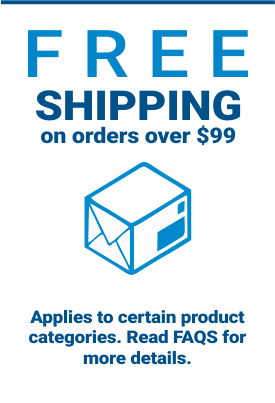 – Golf ball is 3D but is flat on the back. 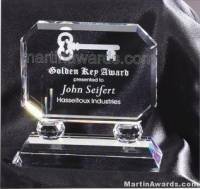 – Each piece is handmade, so size may vary slightly. 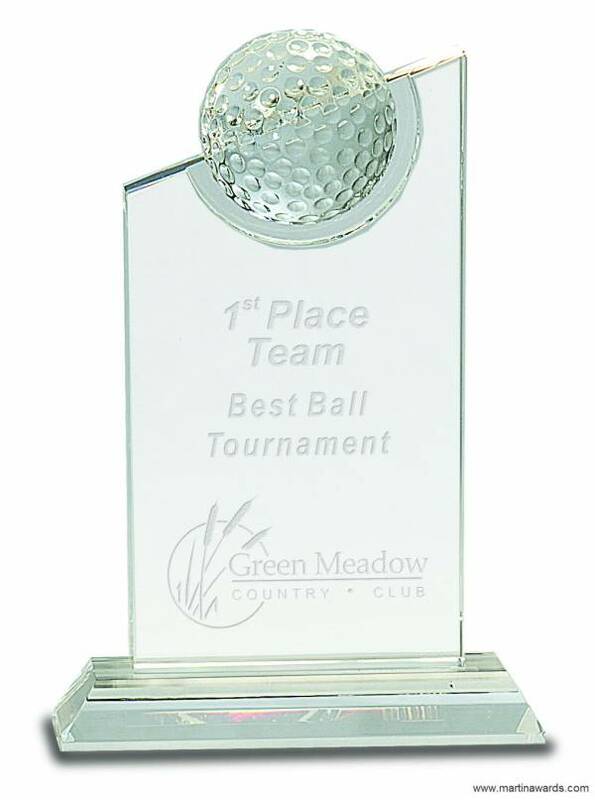 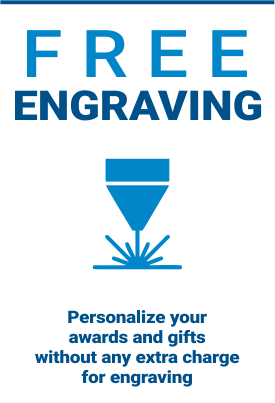 This piece makes a great award for any golf event. 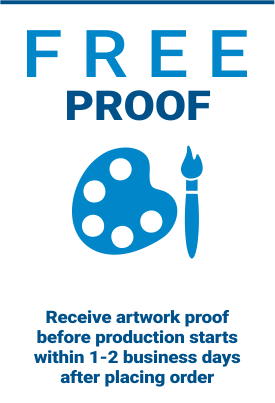 5.50" x 7.25", 6" x 8"